Shields for 2017+ Outlaw Bandit helmets. Note different helmet sizes take different shield sizes. Please see photo to check your manufacturing date. 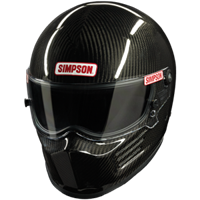 Simpson helmet shields are offered in clear as well as stylish and functional tints. 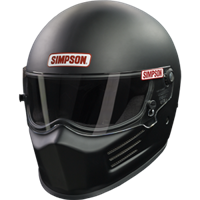 When ordering a shield for your racing or motorcycle helmet, keep these considerations in mind. 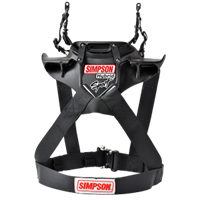 The Jr. Speedway Shark is SFI 24.1 rated and made in the USA. 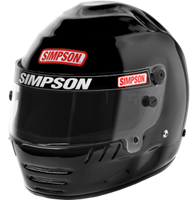 The helmet is sized proportionately for young racers. The helmet is head and neck restraint ready. Radio communications can be added.